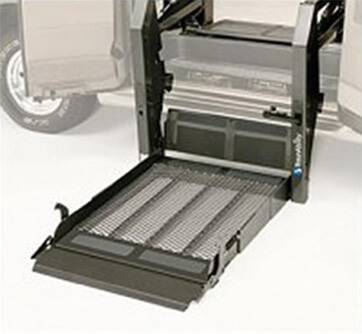 Wheelchair lifts designed with you in mind. The road to independence starts with adaptive driving equipment. 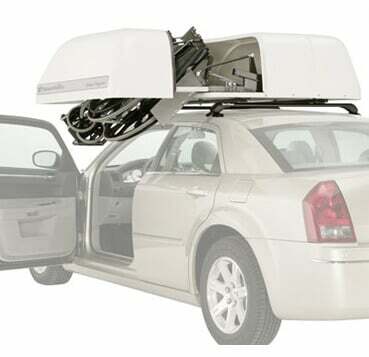 A car top wheelchair carrier folds and stores your wheelchair on top of your vehicle, leaving your backseat open for passengers and your trunk free for cargo. Century Series lifts by BraunAbility are designed for trouble-free performance and side or rear installation. 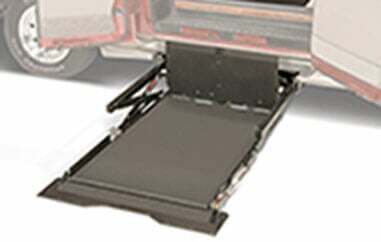 A simplified and streamlined wheelchair lift to get you going. The Millennium Lift is perfect for people on the go. BraunAbility’s Millenium Series provides easy entry to your vehicle, even in tight parking spots. The Vangater Lift makes entry easier for you and other passengers. 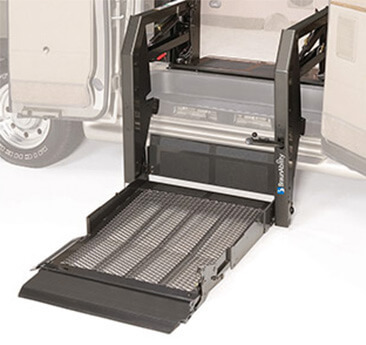 It folds vertically when stored in the van, leaving over half the side door open for access to the vehicle. 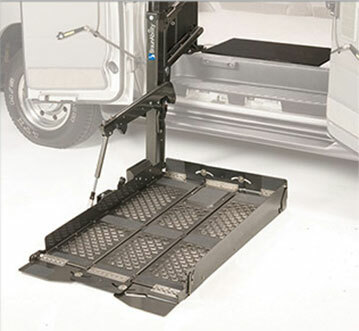 This lift mounts under your vehicle to stay out of sight and out of the way until you need it. They also offer maximum interior space for you and passengers. Get a quote for installation. Can I mount the wheelchair lift using a hitch? What happens when I sell my vehicle? Can I use my wheelchair lift for more than one vehicle? Will the wheelchair lift take up a lot of space? Will a wheelchair lift fit in my car? Are they compatible with trucks? Where does a wheelchair lift mount?